Mr. Obama, you’re a big backer of Common Core. Is that why you can’t seem to do the math when only bad guys are armed in gun-free zones? Spencer Stone, one of the American heroes who stopped a terrorist on August 21 on a French train, and Chris Mintz, a student at Oregon’s Umpqua College, were unarmed and seriously wounded while fighting armed madmen. Wouldn’t you prefer pinning medals on heroes who have a better chance of avoiding injury because they were armed? We’re definitely sick of being “beaten down” and “betrayed by government.” We definitely have antipathy towards criminals with guns. Mr. Obama, you and your family live inside a “big gun zone” that surrounds you wherever you go, as it should. The “gun-free zone” at Umpqua College will become a “big gun zone” if you show up. Nine were dead and seven wounded at Umpqua before police officers engaged the killer only seven minutes after the first 911 call, according to the timeline prepared by the Douglas County, Ore. Sheriff’s office. Chris Mintz is the unarmed hero shot seven times while trying to stop the Umpqua killer. He’s a 10-year Army vet that you, as his commander in chief, trusted with a gun. Mr. Obama, are you willing to look Chris in the face and tell him that you couldn’t trust him with a gun at Umpqua? If you visit the shooting victims and families of the dead, try asking them. With all due respect, your comments about Umpqua before knowing any facts were misleading, insulting and embarrassing for you. You missed the truth bullseye by a mile. Mr. Obama, while in the Illinois Senate, you voted against Senate Bill 2165, which asserted a right of citizens to protect themselves with a gun against home invasions, regardless of local ordinances against handgun possession. Can you understand why we might believe Mr. Lott and not you? Here are some of your comments about Umpqua and Lott’s responses to Newsmax TV show host Steve Malzberg on Oct. 2 and extensive research available on Mr. Lott’s website. “The United States ranks about ninth compared to countries in Europe in terms of either the rate of these mass public shootings or the fatalities from them. Other than a little shop around the corner run by MS-13 in your kind of Democrat-run gun-control town of Chicago, can you name a store that sells anyone a handgun without a “background check” cleared by the FBI? There is the store your BATFE agents used during “Fast & Furious,” which resulted in guns getting into the hands of two illegal aliens who murdered U.S. Border Agent Brian Terry. 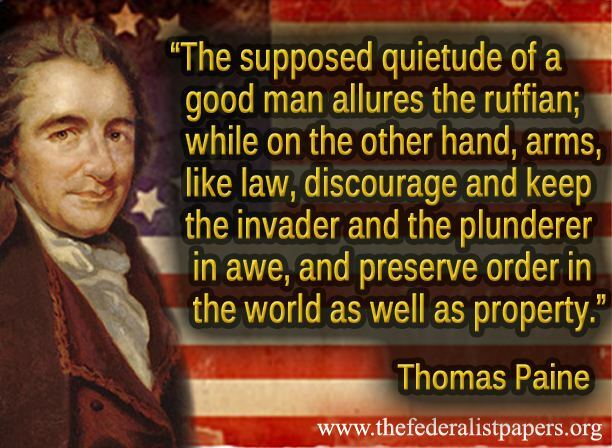 Mr. Obama, how about taking this advice from the ultimate Common Sense patriot? « Exercising Freedom of Religion?